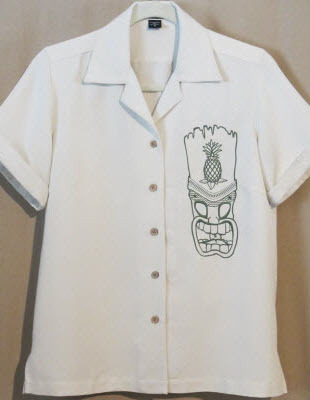 Personalization option allows you to customize your shirt with your name which will be stitched in the main design color on the opposite side of the tiki design. Personalization limited to 15 characters. 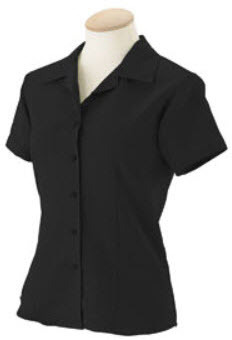 Don't see the color combination you, please contact us at sales@embroiderydesignstars.com. 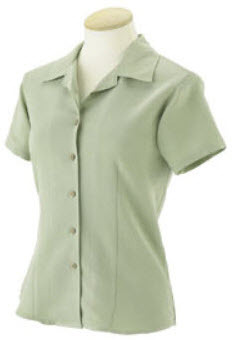 Pictured: Creme with Hunter Green design.